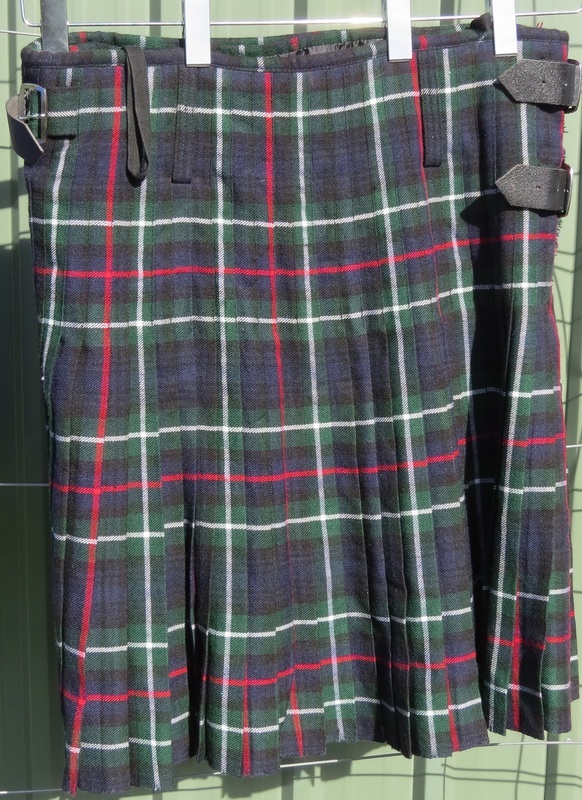 Menswear 7; kilts for sale , larger sizes. McKenzie kilts. Some wool, heavy; some synthetic or blends, lighter. Various sizes available. This tartan was used by the KOSB, Seaforth Highlanders, The Royal Highland Fusiliers and The Pipe and military Band of the Queens Own Highlanders. Also in SA.